Thin on any actual information about what the latest version of the ruleset will be like, the art is good and some of the thoughts may be of interest especially if you like design philosophy and the ideas behind the rules we don't know about yet. Publisher's blurb: "This lavishly illustrated 96-page book gives roleplaying game fans a unique, behind-the-curtain glimpse into the making of the Dungeons & Dragons roleplaying game. The book contains essays and asides from the game's premier designers, developers, and editors. 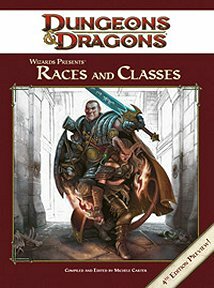 Through words and illustrations, it explores some of the D&D game's most iconic races and classes, sharing insights never before revealed in any previous game product."